The Indian name of this herb is Brahmi booti, and in India has been used for centuries as a revitalizing herb that strengthens the function of the nervous system and improves the memory. It is also a detoxification and tonic plant that can rejuvenate and relax the nervous system. In Ayurveda (Indian scriptures) is mentioned as an herb that revitalizes the nerves and the brain cells. Centella strengthens and nourishes the immune system, purifies the blood, plays a role as a diuretic, it is useful in the prevention of arthritis, rheumatism and for maintaining a healthy skin. Improves the circulatory system – Gotu kola has a positive effect on the circulatory system. It improves the flow of blood while strengthening the veins and capillaries. It has been used successfully to treat phlebitis, leg cramps, and abnormal tingling of the extremities. It soothes and minimizes varicose veins and helps to minimize scarring. Prevents and treats cancer – Scientific studies made in 1995 showed that centella destroys tumor cells cultured in vitro in the laboratory. The leaves of this herb have been used for centuries throughout the world to treat leprosy, cancer, skin problems, rheumtoid arthritis, hemorrhoids and tuberculosis. Boosts the central nervous system – The regular use of this herb can regenerate the nervous system and therefore deserves attention as an alternative remedy for a wide range of neurological diseases and disorders, including the multiple sclerosis. Gotu Kola is a rejuvenative nervine recommended for nervous disorders, including epilepsy, senility and premature aging. As a brain tonic, it is said to aid intelligence and memory. It strengthens the adrenal glands while cleansing the blood to treat skin impurities. It is said to combat stress and depression, energize flagging mental powers, increase libido, ward off a nervous breakdown and improve reflexes. It energizes the central nervous system and rebuilds energy reserves. The soothing effects of this herb make it suitable for overcoming insomnia, stress, anxiety. It is used to rebuild energy reserves and treat physical and mental fatigue. Because of all these actions, centella is called “brain food”. It contains Vitamin C and several essential minerals including magnesium, calcium and sodium. 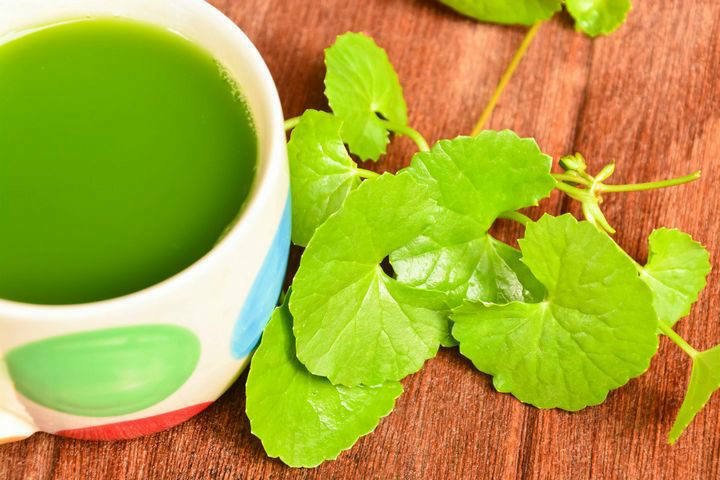 Combats high blood pressure – Gotu Kola can relieve high blood pressure and helps the body defend against various toxins. It is used to treat rheumatism, blood diseases, congestive heart failure, urinary tract infections, venereal diseases, hepatitis and high blood pressure. It is a mild diuretic that can help shrink swollen membranes and aid in the elimination of excess fluids. It hastens the healing of wounds. Centella is used as a mild sedative agent for the treatment of insomnia, as an aphrodisiac, anabolic and adaptogen. Caution: Centella is not recommended for use at pregnant women, nursing mothers and young children, at diabetics and people with elevated levels of cholesterol and triglycerides in the blood.